With its sporty styling and cut, this is my go-to jacket when I’m riding on the road. The Avro has full CE Level-2 certification and also features pockets for chest and back protectors (sold separately). Stretch panels under the arms as well as padded areas beneath the armour mean that it’s comfortable enough to wear all day. A removable thermal lining also makes it good for wearing on crisp autumn days, while the vents make it comfortable to wear in warming conditions. There’s a full-circumference zip so you can attach it to leathertrousers,butImostlywearitwith protective denim jeans. Quality-wise, it’s standing the test of time, too. Buy it and you won’t be disappointed; it’s a beautiful jacket that feels secure, works well and looks appealing. 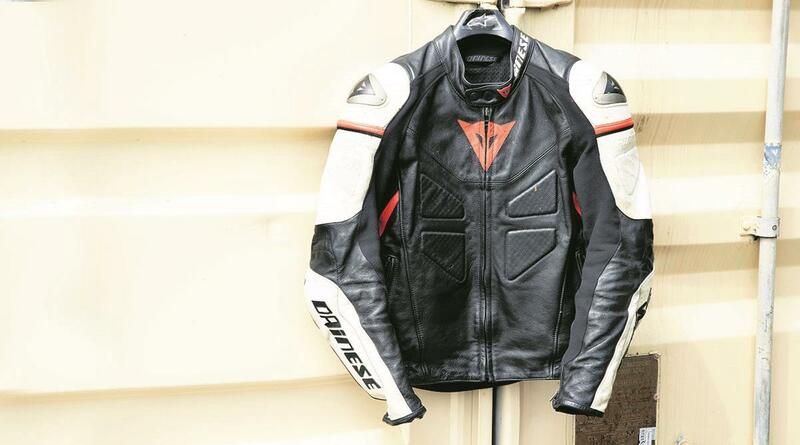 You should always try before you buy, however, as Dainese sizing can be a little unusual.